We'd waited rather a long time for this. But the nip-and-tuck aspect was changed abruptly and utterly in the first part of the crucial Q3. Nico first off set what seemed a perfectly respectable 1m24.552s. But Lewis came round and stopped the watch way under it at 1m24.109s. 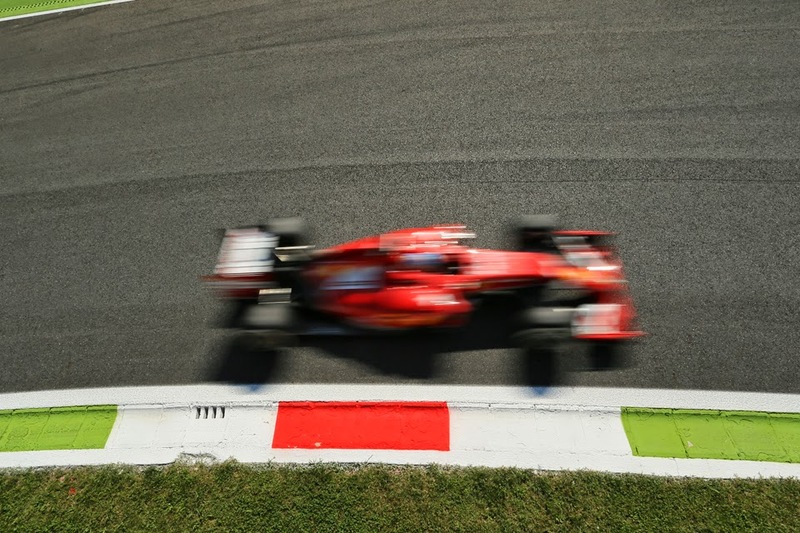 The reverberations could be felt throughout the Monza royal park, including presumably in Nico's spine. Some speculated that Lewis might go for a 'lighting up the cigar' approach and not run again. He did run again, probably sensible given what happened in Silverstone, but it made no difference. 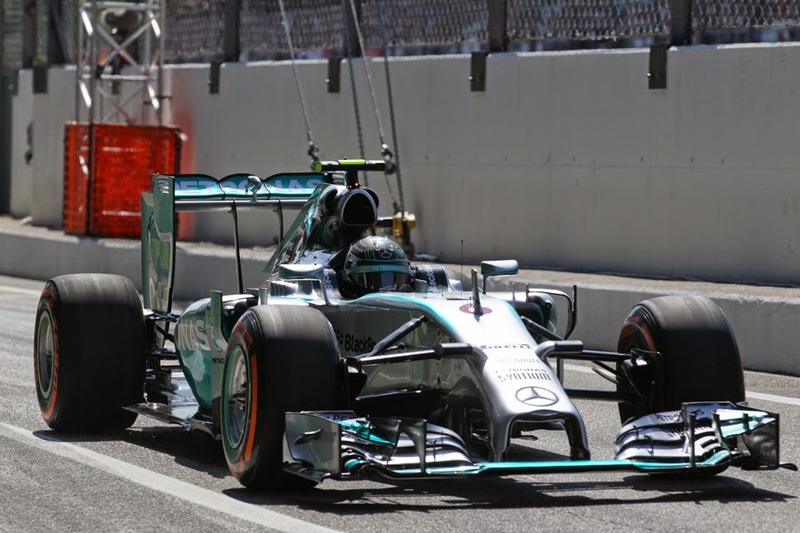 Nico improved his effort, particularly in the first sector compared with his rival, but over the piece not by enough. 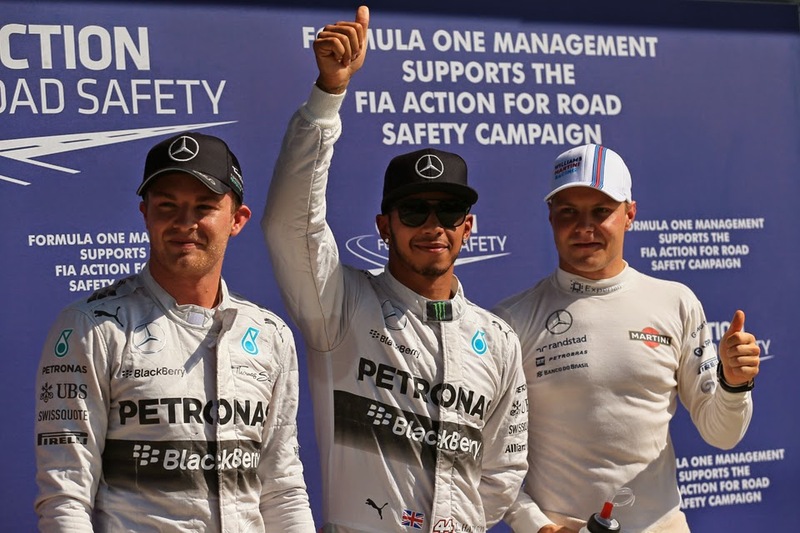 The day belonged to Hamilton. Lewis's demeanour nevertheless was sober afterwards, acknowledging his tough run prior to this, as well as the work of his mechanics throughout it all: 'very proud of my guys, my guys on the side of the garage who also have been through the difficult time with me and they've done a remarkable job in terms of every time bouncing back and fixing the car and dealing with the difficulties. We've done this as a team'. It's amateur reading of body language of course, but that of the Merc pair in the press conference after the act didn't really suggest much of a thawing in the relations following the post-Spa patching up. An uneasy truce perhaps, but little more. 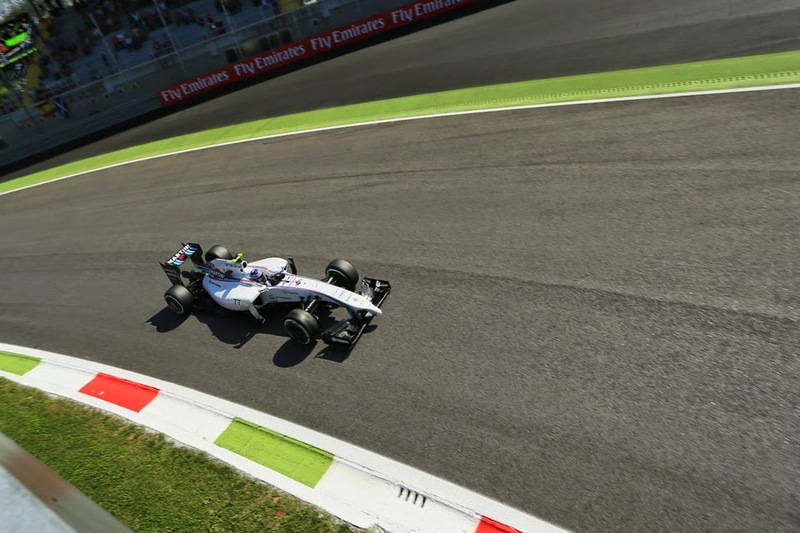 The Williams team - its cars routinely the quickest in speed traps in recent weeks - had the Italian Grand Prix weekend on its calendars circled for a while as one wherein it could really make hay. In proved so today, at least to some extent, as the two FW36s were close to the top though it didn't ever look quite enough to leapfrog them over the Mercs. And then the late improvement outlined left that team gasping just like all others. Valtteri Bottas starts third with a best about half a second off the top, while Felipe Massa completes the second row two tenths off his team mate. That might not be the end of matters as Friday's race simulation runs had the Grove cars if anything better than the Mercs. Plus as Fernando Alonso has shown before it's possible even to start on row two here and lead out of the first chicane. Is a Williams challenge for the win now in doubt? And even Bottas appeared to agree, adding that yesterday may not have revealed the full content of the W05 hand: 'From Friday to today they seemed to have a bit more pace, in qualifying we expected maybe we could be a bit closer to them today.' No one has got rich betting on Mercs being outpaced in 2014 when it matters. Appropriately on this power track to end all power tracks more Mercedes power units were next up, and the Noah's Ark formation stretched to row three with the two McLarens present. Kevin Magnussen continued his feisty form of late by being the lead of the two. Timely too given no one considers it a secret that both McLaren drivers are driving for the futures. It wasn't the best time for the home team though. Ferrari's illusory practice form lasted longer than usual, all the way to FP3 this morning when Alonso still featured in P2. But as the man himself noted 'we knew that in qualifying is the moment of truth and Mercedes they turn up the engine a little bit and we drop some of the places we were all weekend'. His best efforts were only good enough for P7 and Kimi Raikkonen meanwhile, bemoaning a tricky car as well as more pointedly a fundamental lack of speed, didn't even get into Q3, being P12 in the order which converts to a P11 start thanks to a penalty for Daniil Kvyat. Alonso nevertheless looked forward to 'a group race' tomorrow with the McLarens and Red Bulls that will be 'quite interesting'. Back at the front, 2014's has been a title battle hanging on the hooks of a few individual moments. Many thought that Monaco quali and all that which followed the Spanish round mentioned was a watershed, and in terms of pure results it most certainly was. Perhaps some speculated - whatever it was Nico did or intended that day - it rather got into Lewis's head. But such a projection will have to reckon with Lewis Hamilton: '(We're) free to race...it continues as usual' noted the Englishman.